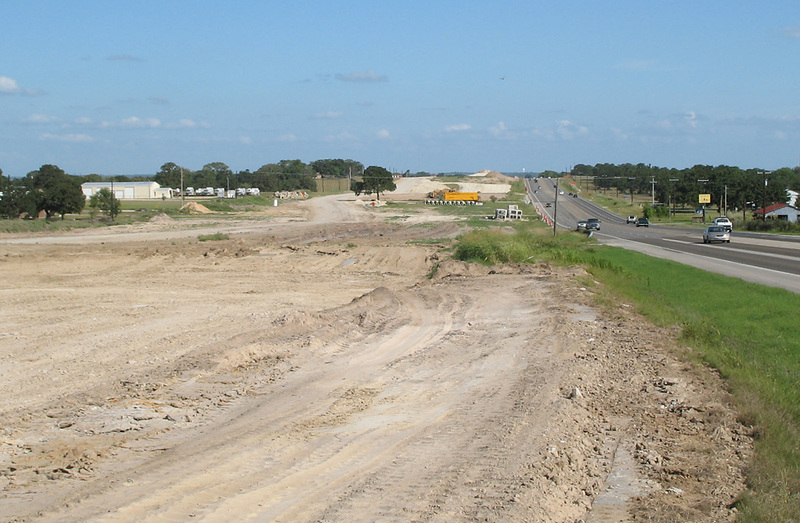 This is a $100 million project to convert approximately 9 miles of SH 6 south of College Station to a freeway. The existing facility is a four-lane highway, mostly undivided but with some sections having a center turn lane. The right-of-way for the freeway corridor is very wide, around 450 feet, so this will be nice freeway. 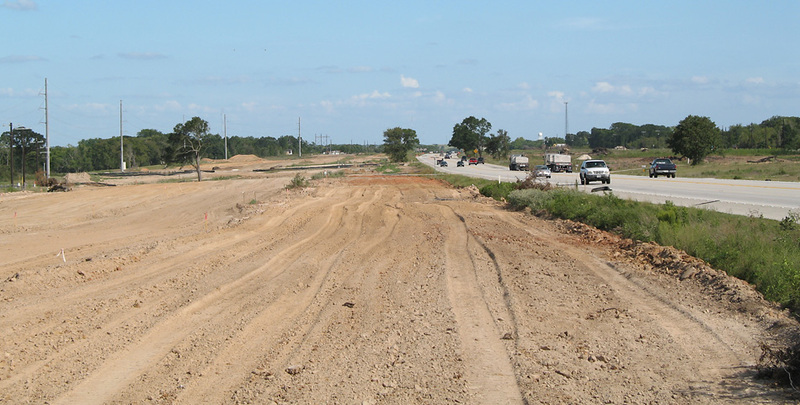 The project includes frontage roads for the entire length. 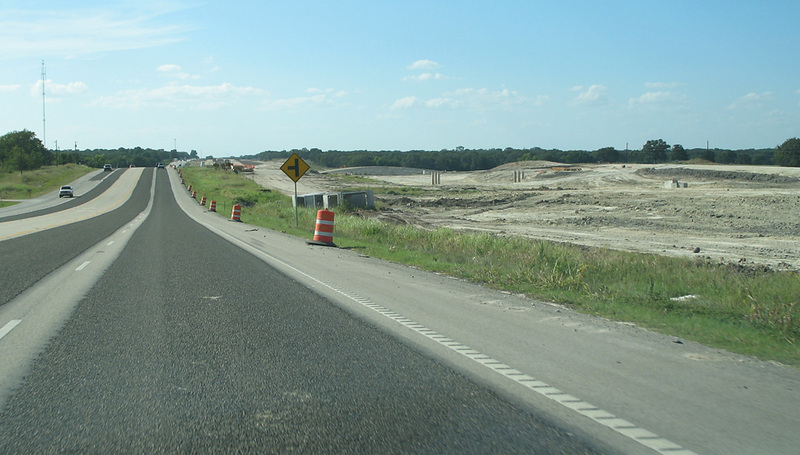 When this project is complete, the highways from Houston to College Station will be about 75% freeway. The only non-freeway section is between Hempstead and Navasota, which is a 4-lane divided highway without any traffic lights. Students going to Texas A&M may not realize how good things are compared to the dark ages from 1985 to 1989 when I attended Texas A&M. In 1985, the US 290 main lanes stopped at Beltway 8 in Houston, so traffic was on the frontage roads with numerous signals. There was a short section of freeway at FM 1960, and then about 10 miles of divided highway with a couple traffic signals. East of Hockley US 290/SH 6 became a 4-lane undivided with at least one signal in Hockley. The highway remained 4-lane undivided all the way to Hempstead with numerous signals, speed zones, and the radar traps at Prairie View. Going through Hempstead was a 30 mph zone with numerous lights and the dreaded turn which often backed up. 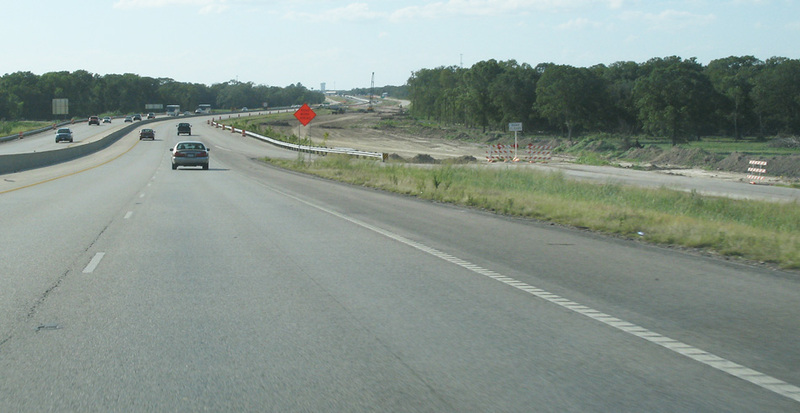 North of Hempstead SH 6 was a two-lane highway all the way to Navasota. The 4-lane divided highway was completed around 1986 or 1987. 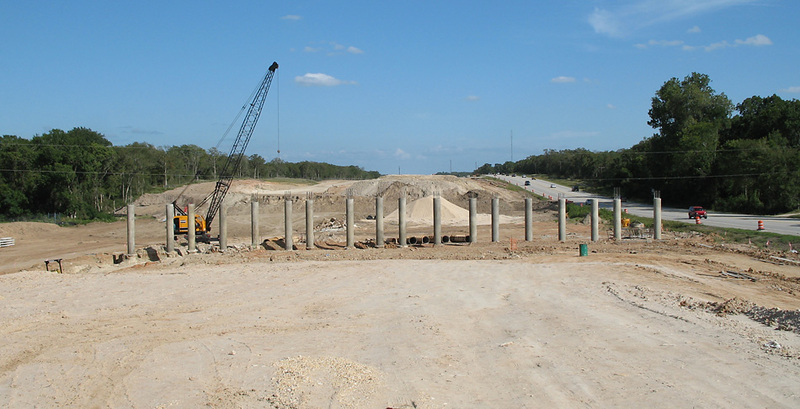 The section from Navasota to College Station is the same today, but of course is being upgraded to a freeway now. 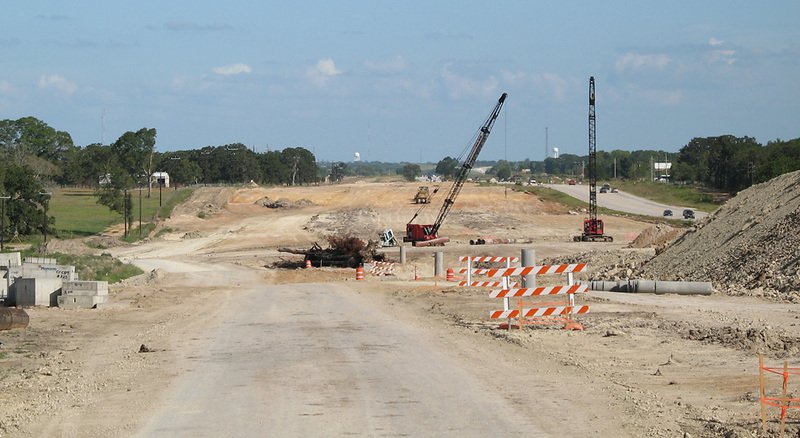 These photos start at the north end near College Station and proceed southbound to Navasota. 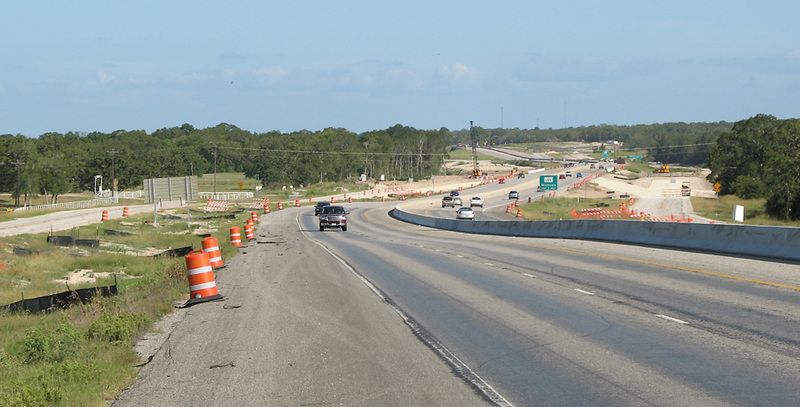 The section being upgraded is from south of College Station to Navasota. 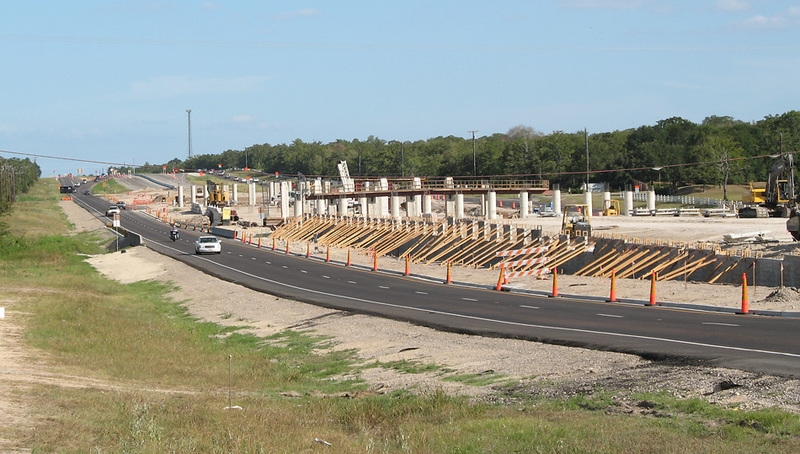 A new overpass is being built on the existing freeway south of College Station. This is north of the main project. 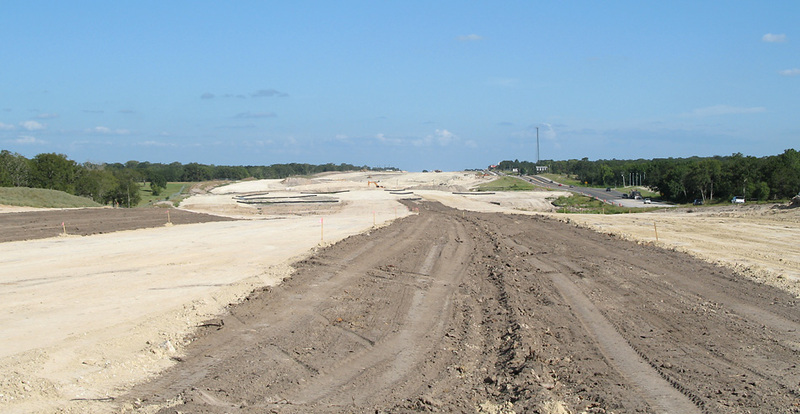 This view looks south along the existing freeway at the beginning of the construction zone just north of FM 159. 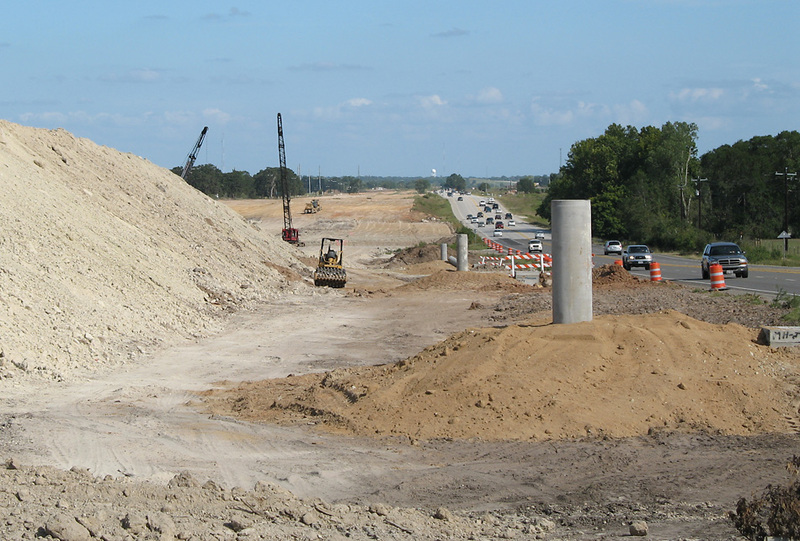 This is a driver's view looking northbound at the north end of the construction zone, showing the existing freeway. Looking south, with the existing SH 6 on the right. Looking south at piers for an overpass. 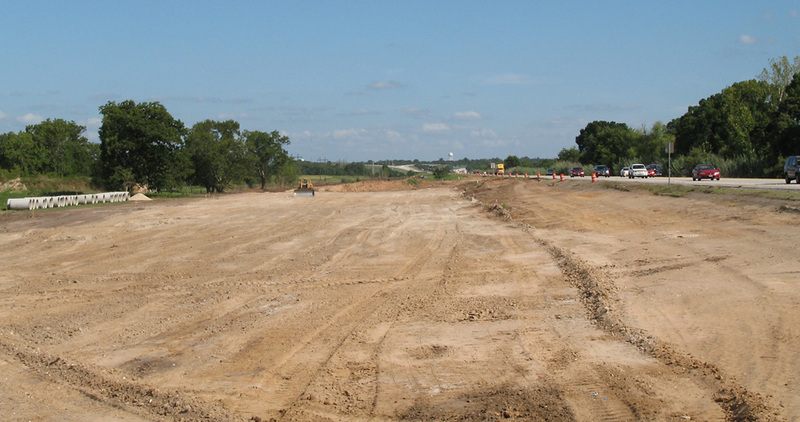 Looking south, this shows base aggregates being placed for the main lanes and future northbound frontage road (on the left). This is a driver's view going northbound on SH 6, showing piers for an overpass over the freeway on the right. Looking south, with SH6 on the right. 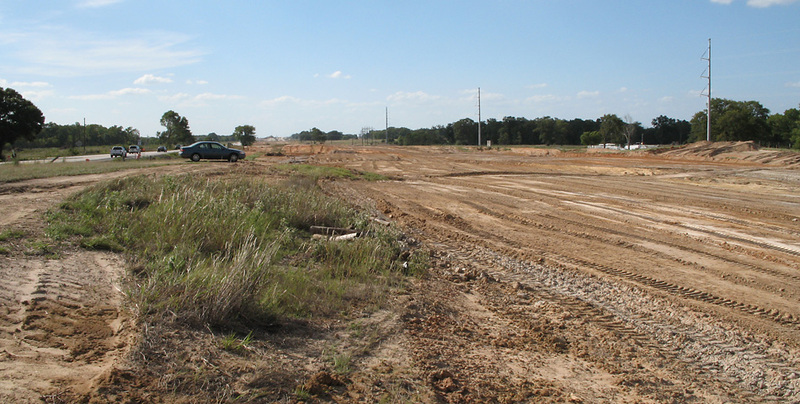 Looking south at the site of a future overpass. The same location as above, on the west side of the corridor. 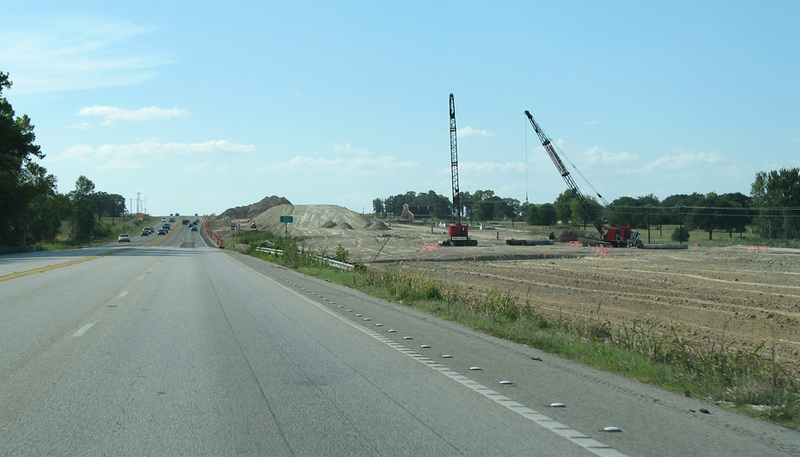 This is a driver's view going northbound on SH 6, showing the embankment stockpile pictured in the above two photos. Looking south, with SH 6 on the right. Looking south. 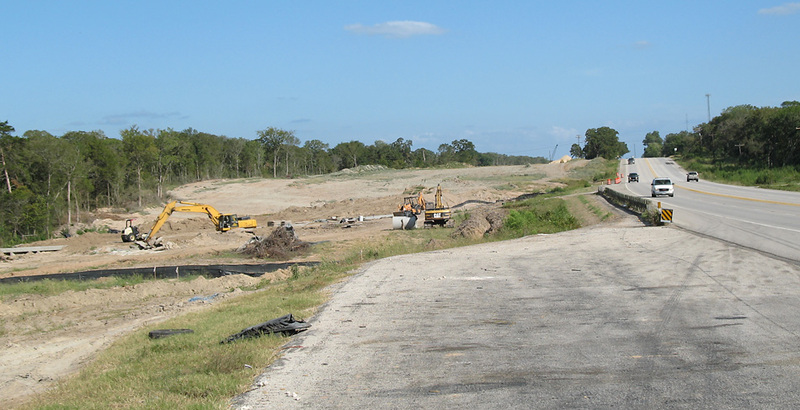 At the south end of the project, dirt has been turned but no major work is underway yet. Further south, the area of the main lanes is still not disturbed. Lookng south at the south end of the project. Navasota is just ahead.